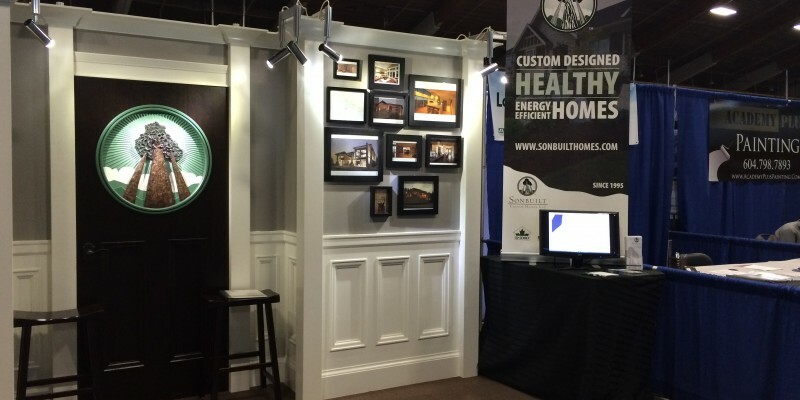 April 2016 - Sonbuilt Custom Homes Ltd.
Langley Spring Home Expo this Weekend! A Zero Energy Home is a building with zero net energy consumption, meaning the total amount of energy used by the building on an annual basis is roughly equal to the amount of renewable energy created on the site. The Harmony House in Burnaby, built by Insightful Healthy Homes Inc., produces more energy from on-site renewable energy systems than it consumes in a year. The home is a highly insulated airtight building featuring vacuum insulated panels and triple glazed windows. It incorporates both passive solar heating, a solar domestic hot water system and grid-connected photovoltaic panels. Ultimately, this home is an energy efficient, healthy home with a low environmental impact. We are currently building a near-zero energy building in Abbotsford. Stay tuned for future updates on our exciting project!